Observation - Evernia Prunastri - UK and Ireland. 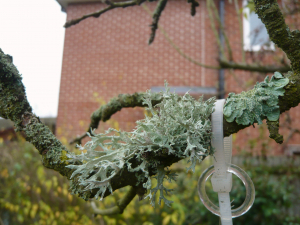 Description: Grey green lichen with 'stag's antlers' growing happily next to Flavoparmelia. Found in an apple tree in my garden. Grey green lichen with 'stag's antlers' growing happily next to Flavoparmelia. Found in an apple tree in my garden.